Here’s an unconventional life: A princess, great-grand daughter of Queen Victoria of England and Czar Alexander II of Russia, twice divorced (! ), founder of the European equivalent of the Girls’ Scouts, gives up her pampered princess life to found and direct the first English-language Orthodox monastery in rural Pennsylvania. Although she passed away in 1982, her life still inspires, serving as a testament to the attractiveness of the ascetic life that Orthodox theology encourages. 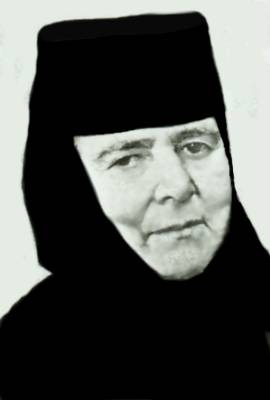 Her worldly name was Princess Ileana of Romania, but her tonsured name was Alexandra, eventually she became known as Mother Alexandra as the igoumeni, Abbes, Mother Superior of the Monastery of the Transfiguration in Ellwood City, Pa. In my opinion, Princess Ileana’s story is a A Blessed Life of Extremes on so many levels. I have personally found Bev. Cooke’s narrative chronicle Royal Monastic: Princess Ileana of Romania: The Story of Mother Alexandra, a most fascinating account of the life of one of the twentieth centuries most unheralded, yet fascinating, persons. Mother Alexandra, formerly Princess Ileana of Romania, lived through two world wars, the communist takeover of her country, and finally saw its liberation. She lived a life of royalty and privilege, yet knew poverty, encountered opulent materialism, yet lived as an Orthodox nun founding a monastery in Pennsylvania in the later years of her life, married twice (! ), yet became nun! Mother Alexandra’s experiences were varied and deep to the extent few others can claim. She was, by birth, related to some of the most powerful and historically significant people in modern history, yet never sought celebrity status. If you seek an inspirational biography, read this thrilling tale of love and loss, danger and rescue, sacrifice and reward. For all her shortcomings and ‘falls’, Mother Alexandra’s life stands in so many ways as a beacon of faith and holiness for women of all times and nations to follow. 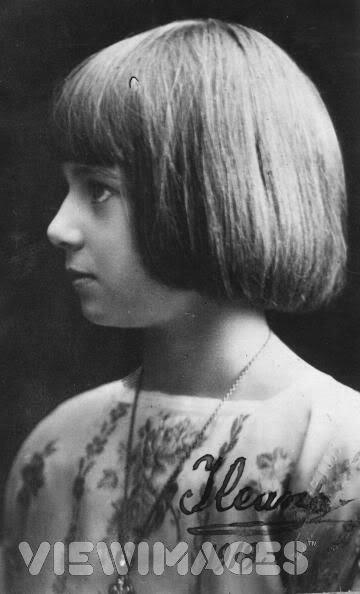 Ileana was born in Bucharest on 5 January 1909, the youngest daughter of Queen Marie of Romania and King Ferdinand I of Romania. Although it was rumored that Ileana’s true father was her mother’s lover, Prince Barbu Ştirbey, the king admitted paternity. 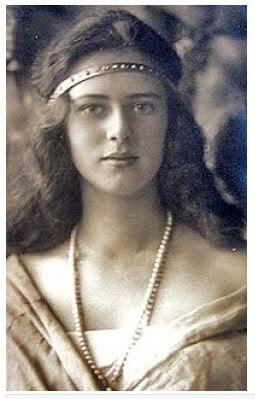 Ileana had four older siblings: Carol, Elisabeth – later Crown Princess of Greece, Princess Maria – later Queen of Yugoslavia – and Nicholas. Her younger brother Mircea was also claimed to be the child of Prince Ştirbey even though the king also claimed to be his father. Before her marriage, Ileana was the organizer and Chief of the Romanian Girl Guide Movement. 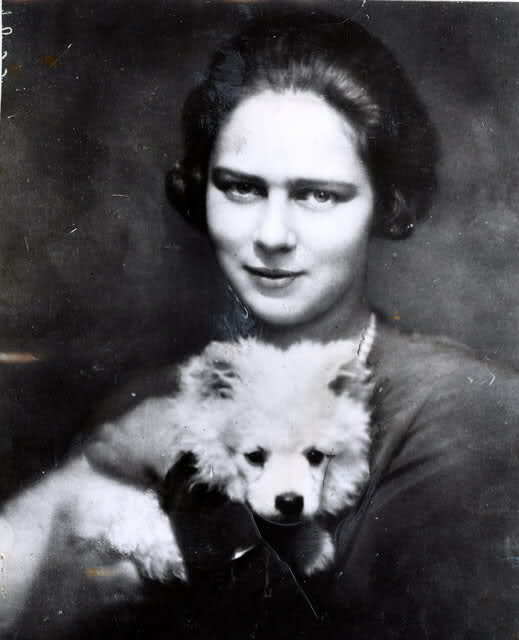 Later Princess Ileana was involved in Guiding in Austria and served as president of the Austrian Girl Guides from 1935 until Girl Guiding and Scouting were banned in 1938 after the Anschluss. 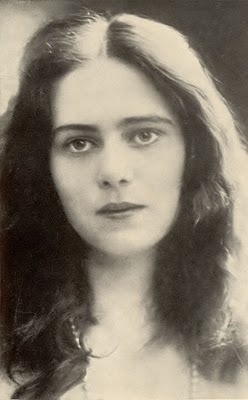 Ileana was the organizer of the Girl Reserves of the Red Cross, and of the first school of Social Work in Romania. She was an avid sailor: she earned her navigator’s papers, and owned and sailed the “Isprava” for many years. In Sinaia on 26 July 1931, Ileana married the Archduke Anton of Austria, Prince of Tuscany. This marriage was encouraged by Ileana’s brother, King Carol II, who was jealous of Ileana’s popularity in Romania and wanted to get her out of the country. After the wedding, Carol claimed that the Romanian people would never tolerate a Habsburg living on Romanian soil, and on these grounds refused Ileana and Anton permission to live in Romania. 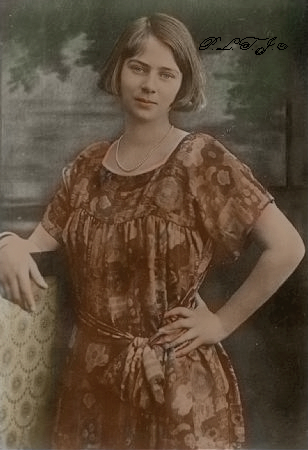 After her husband was conscripted into the Luftwaffe, Ileana established a hospital for wounded Romanian soldiers at their castle, Sonneburg, outside Vienna, Austria. She was assisted in this task by her friend Sheila Kaul. In 1944, she and the children moved back to Romania, where they lived at Bran Castle, near Brasov. Archduke Anton joined them but was placed under house arrest by the Red Army. 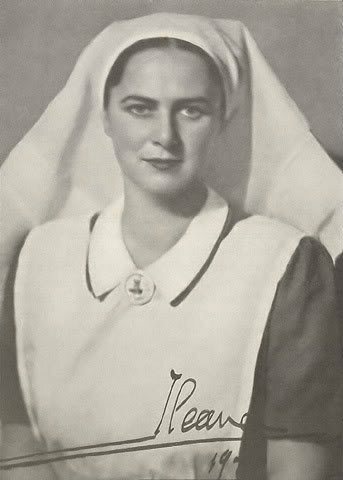 Princess Ileana established and worked in another hospital in Bran village, which she named the Hospital of the Queen’s Heart in memory of her beloved mother Queen Maria of Romania. After Michael I of Romania abdicated, Ileana and her family were exiled from the newly Communist Romania. They escaped by train to the Russian sector of Vienna, then divided into three parts. 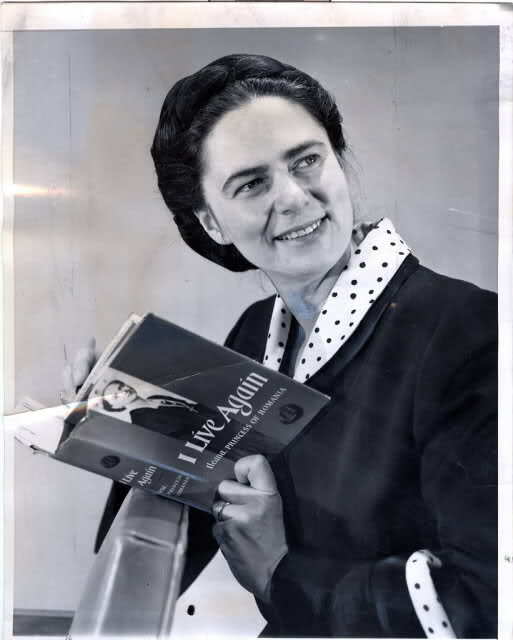 After that they settled in Switzerland, then moved to Argentina and in 1950, she and the children moved to the United States, where she bought a house in Newton, Massachusetts. On 29 May 1954, Ileana and Anton officially divorced and she married secondly in Newton, Massachusetts, on 20 June 1954, to Dr. Stefan Nikolas Issarescu (Turnu-Severin, 5 October 1906 – Providence, 21 December 2002). In 1961, Princess Ileana entered the Orthodox Monastery of the Protection of the Mother of God, in Bussy-en-Othe, France. Her second marriage ended in divorce in 1965. On her tonsuring as a monastic, in 1967, Sister Ileana was given the name Mother Alexandra. She moved back to the United States and founded the Orthodox Monastery of the Transfiguration in Ellwood City, Pennsylvania, the first English language Orthodox monastery in North America. She was the third female descendant of Queen Victoria to become a Mother Superior in a convent of her own foundation. She served as abbess until her retirement in 1981, remaining at the monastery until her death. She visited Romania again in 1990, at the age of 81 in the company of her daughter, Sandi. In January 1991, she suffered a broken hip in a fall on the evening before her eighty-second birthday, and while in hospital, suffered two major heart attacks. She died four days after the foundations had been laid for the expansion of the monastery. For more photographs about this extraordinary woman and her amazing story of courage and conviction go here. ELLWOOD CITY—Her family jewels are gone and her castle is property of the Communist state, but Romania’s Princess Ileana believes her life is blessed in far greater, grander ways. The princess, 79, has found peace as the Rev. Mother Alexandra, one of 12 nuns who share food, work and prayer at an Orthodox monastery in rural Western Pennsylvania. The nun of 27 years has long since buried her royal roots as founder of The Orthodox Monastery of the Transfiguration, the, first English-speaking Orthodox monastery in the United States. But vestiges of those days remain, even at the monastery. Portraits of her parents, Romania’s King Ferdinand and Queen Marie, hang in the living room of the A-frame house she shares with another nun. Gold and silver icons dating back to the 15th century fill a corner of her bedroom. Antique icons also decorate the monastery’s small, candlelit chapel as do crosses and triptychs, some of which she brought from Europe. A small, gold container on a bed stand holds her most precious possession, a handful of Romanian soil snatched during her escape from Russian Communism in World War II. She wants it buried with her. “There’s a big gap between then and now. So much has happened in between,” Mother Alexandra said. She refuses to compare her regal and- religious lifestyles. Her superiors, nonetheless, are impressed by her example. “As a person, as an individual, I have admiration because even not having a position, she could have had a social life, which would be much more in keeping with other people of her background,” said Bishop Nathaniel Popp, 47, head of the Romanian Orthodox Episcopate of America. “Instead of saying she was a princess who became a nun, I think it was more she was a nun coming through the life of a princess,” he said. Although just a child during the German invasion of World War I, Princess Ileana accompanied her mother, the queen, from hospital to hospital, administering to Romania’s wounded and hungry. By World War II, her parents were dead, her older brother, Carol, had ascended the throne, one sister had become queen of Yugoslavia and another queen of Greece. 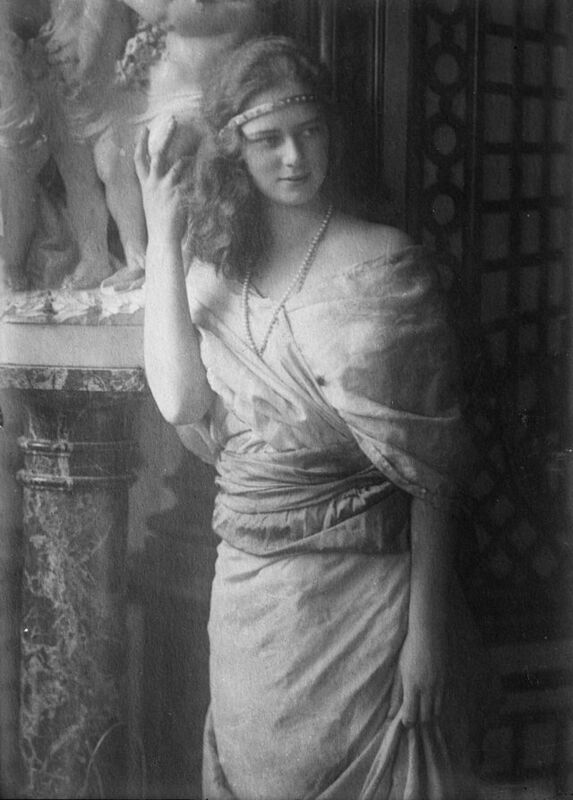 Princess Ileana lived in a castle near Vienna, wife of an archduke of Austria and mother of six. Fearful of the Nazi regime, Princess Ileana and her family moved in 1944 to Romania. There, she set up hospitals and did what she could for her suffering compatriots despite Russia’s growing threat. On Dec. 30, 1947, her nephew, King Michael, forced by the Communists to abdicate. The next week, Princess Ileana and the rest of the royal family were exiled. In 1961, after her children were grown, the 52-year-old princess became a postulant. She ended a second marriage to do so. Princess Ileana took the monastic vows of stability, obedience, poverty and chastity in 1967 and, with that profession, became Mother Alexandra. 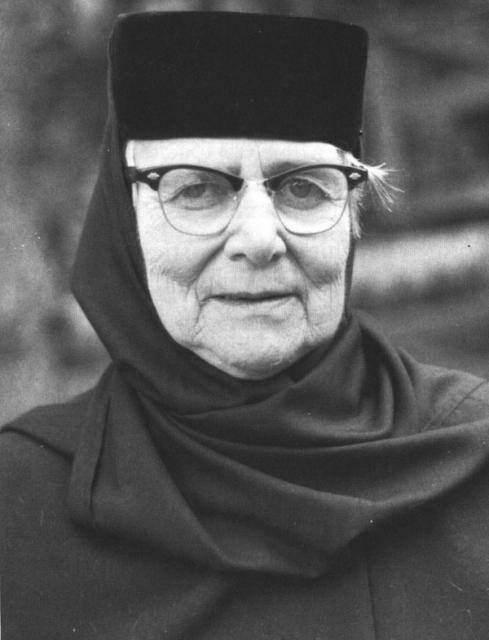 Later that year, she put up a trailer on 100 acres of farmland outside Ellwood City and began building an English-speaking monastery for Orthodox women of all ethnic backgrounds. Even though she has stepped down as the monastery’s abbess, Mother Alexandra’s work goes on. She oversees construction of a new complex to accommodate more activities and the growing number of women drawn to the cluster of redwood buildings on a hill. Her royal background, surprisingly, has helped her cope with the austerity of monastic life: two-hour prayer sessions three times a day, black habits and headdress, renunciation of the temporal world and ail its trappings. “As a royal person, you have to be very disciplined,” she said. “From the beginning of your life, you are a public person. You belong to the country. Your own personal amusement does not play any part. Your duty comes first. From that point of view… I’ve watched the other sisters, the struggles they have I don’t. For me, it isn’t difficult. What is difficult for her is dealing with the strangers who periodically show up at monastery, hoping for a glimpse of a real-life princess. “It’s my cross I have to bear,” she said, sighing. To her sisters in spirit, she is just another nun. “We live quite equally here,” said the Very Rev. Mother Christophora, the monastery’s abbess. “Mother Alexandra is a nun, sure. She’s in the garden, in the flowers, digging like everybody else,” said the Rev. Roman Braga, 65, the monastery’s chaplain. “I couldn’t bear to see everything that my parents did, we all did and worked for, destroyed,” she said. Still, there are times, especially around Romania’s National Day on May 10, when her heart longs for the land she left behind. “I’ll always be homesick,” she said. “I think that’s an illness of which one is never cured. You accept it like one accepts anything else. This entry was posted in Living Signposts, Memoirs, Autobiographies and Correspondence, Monasticism and Monastery Lessons and tagged an amazing story of courage and conviction, feminism and role models, I Live Again, inspirational biography, North America monastery, Orthodox Living Signpost, orthodox monastery, orthodox monasticism, orthodox nun, Orthodox Role Model, role model, Romanian monasticism, unconventional life.